JAPAN HERE WE COME !!!!!!!!!!!!!!!!! I'm doing the happy dance. Flights all booked and man in doors already primed, we are off in January and this little black duck is going to the Tokyo Quilt show. 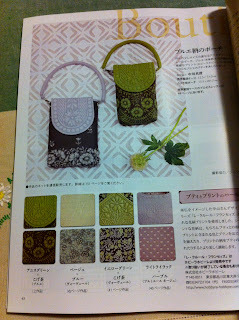 So in preparation for the event, I thought I might talk about an amazing quilting magazine. 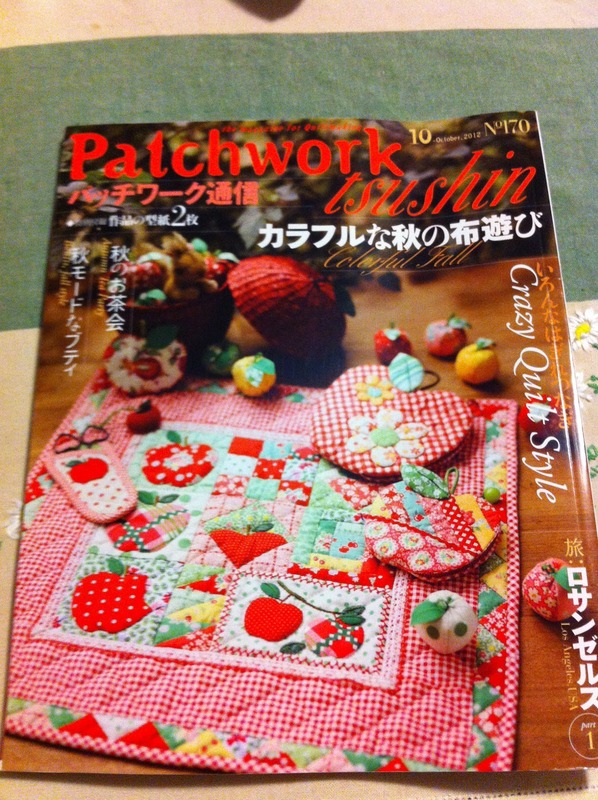 Patchwork Tsushin has to be seen to be believed. It. Set. My. Head. On. Fire. The ideas are original, the design and techniques are breathtaking. Yes, its in Japanese. Yes, the front of the magazine is on the back. Who Cares? It doesn't hurt to think outside the comfort zone and have a good hard look. One of my favourite things to do is go into the city with my homies Ness and Jane. We catch the train, talk the ENTIRE way there, go to the Galleries Victoria and head off to Kinokuniya to go get lost in the Japanese craft books. 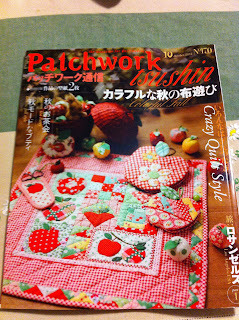 Ebay is a good place to find issues, there are quilt stores that carry the magazine but you will have to do a google search to find them. 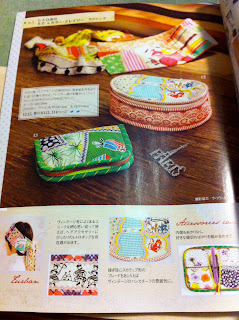 If you have a Kinokuniya somewhere near you they will carry it (that's where I buy my copies) plus you could subscribe. 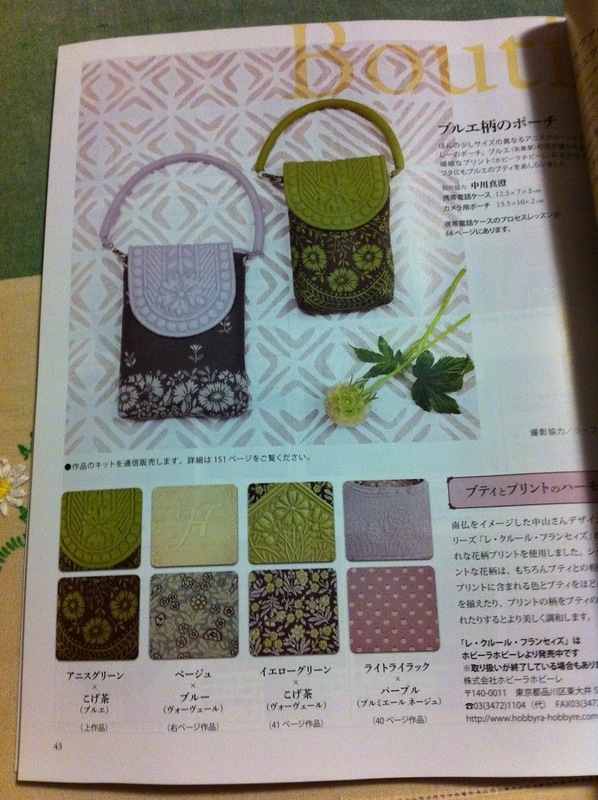 But please don't expect this to be the normal price of quilt mags. It isn't, it can be expensive so shop around. You won't be sorry. 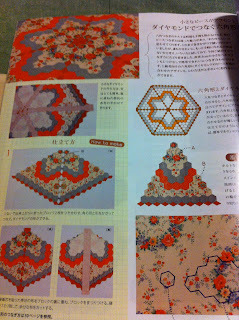 Next post will be about the jelly roll/charm square quilt. 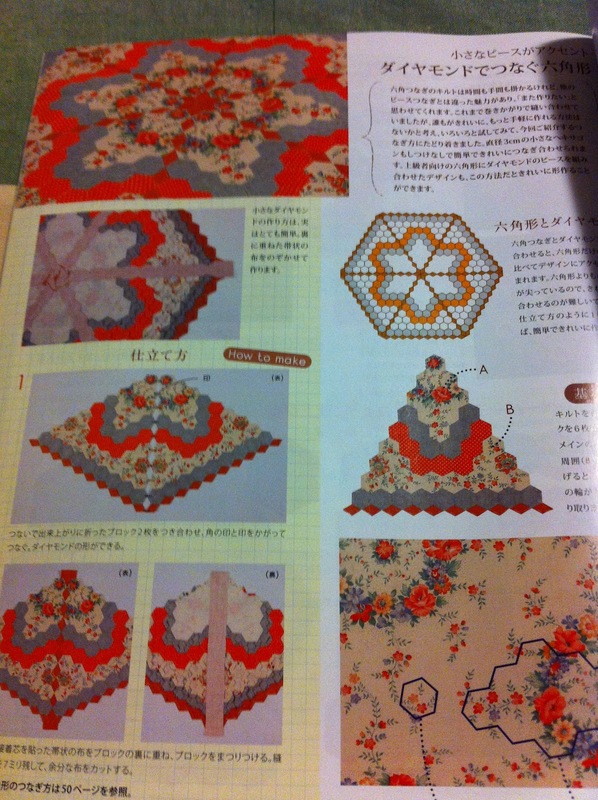 Which I am working on while catching up on the new season of Downton Abbey. Ahhhh yes. Could it get any better?